Because VC backed startups need to hire fast and tend to be pretty lean in the early days, hiring remote employees has become a fast-growing trend. Remotive, a job board for startups, releases a list of startups that hire remotely. In 2016 their list had 200 companies, in 2018 they had 600. Even though there are companies that are 100% remote, like Automattic and Buffer for example, most startups tend to have a mix of employees who work in the office and remote employees. What I have seen most often is that startups hire technical, sales and client service employees remotely. If the startup is located in a startup hub, like Silicon Valley or New York City, it can be hard to attract technical talent quickly enough or it may be too expensive to build an early product. That is why they turn to remote employees for technical positions, like software developers and designers. According to glassdoor the average senior software developer salary in San Francisco is $144 thousand. 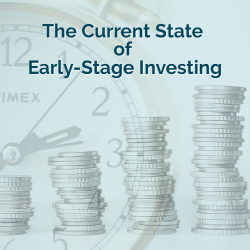 With an average initial round of funding between $700 and $800 thousand, according to CB insights, and high salaries in startup hubs, early stage startups can run out of money pretty quickly. Sales and client service teams are usually hired remotely to sell to and service clients in specific locations. Sometimes remote employees will rent a desk at a coworking space. Most startups are moving so fast that they do not have time or even realize that there may be compliance issues with hiring employees based outside of the state(s) and/or country where you do business. Most people talk about the benefits and challenges of working with a remote team, but leave out the part about compliance. Since there are tax and legal issues involved with hiring remote employees, it can become problematic and costly for startups that do not comply. When we say US employee, we mean a W-2 employee. This is someone who has been hired by the company and the company withholds and submits payroll taxes on their behalf. The company also follows state and federal employee compliance regulations. Contractors are any other individuals or a company, usually LLCs, that the startup hires based on a contract and pays them directly without withholding and submitting payroll taxes on their behalf. A startup can evaluate their compliance needs around remote employees and contractors by first finding out what constitutes doing business in a state. When a state considers a company to be “doing business” in their state, the company may need to pay taxes, charge sales tax or pay business registration feeds. You may have also heard your accountants talk about having “nexus” in a state. Each state has their own rules for what they consider doing business in their state. If your company has any of the following in a state, you should check the guidelines for that state to see if it would be considered doing business in that state. Even though there are more reasons than simply having a remote employee in a state to need to register to do business, we are only going to focus on remote employees here. If your company meets any of the other criteria you should look in to whether or not you need to register to do business. Working with employees and contractors located outside of the US adds another level of complexity to compliance. I have seen many startups hire someone who is based outside of the US and pay them via Paypal or wire transfer. The problem is that you, the company paying the foreign individual or business, have additional responsibilities and liabilities. If you hire a US tax resident that is based outside of the US, you can treat them like a 1099. But if you hire non-US tax residents based outside of the US there is more work to do. There are two possible ways to hire a non-US tax resident living outside of the US. Work with a local payroll company to pay them like an employee. Here the payroll company will follow local tax and employee regulations to pay this employee. This may or may not be possible depending on the country. Research international payroll companies and the specific country to learn about your options. Pay them like a contractor. Here you will need to work with your accountant because each country has a different tax treaty with the US. But in general you will need the non-US tax resident employee to provide you with a W-8Ben form and you will need to withhold and submit 30% to the IRS. Since each country is different, the withholding percentage varies significantly. If you are a startup in the early stages you probably find compliance onerous and maybe even a waste of time. The truth is that initially, if you do not comply with state and federal laws, probably no one will notice and nothing will happen. It really depends on the state, county or city. The problem comes, however, when you are trying to close a round of equity or debt funding or get acquired. During the due diligence process the other party’s lawyers may request evidence that you are compliant. I don’t know about you, but I do not want to hold up the deal closing for something that we should have already done. Some states can take weeks or longer to register your business and provide good standing certificates. You may even need to pay penalties and fines for not having registered previously. Even though compliance for your startup might seem intimidating, it is usually not that difficult. Most states post the information you need on their website and in my experience most states are helpful when you call to ask questions. Many people across the country think that the story of rural America has already been written. Small towns are increasingly being left behind, and the capital that is so badly needed to spur economic growth and opportunity is not finding its way to small business owners and entrepreneurs that are the core of rural communities. In fact, less than 1% of all venture capital makes its way to rural communities in the United States. In order to spur innovation, access to capital is critical, and it is a major barrier for rural entrepreneurs in today’s day and age. Small businesses drive the US economy and are an even larger factor in economic growth in rural communities. Since the financial crisis and recession, rural communities have not recovered at the same rate as their urban counterparts. Lack of access to capital continues to stretch small businesses, yet it, along with credit, is vital to spurring the startup and growth of businesses in communities of all sizes. It is not all bad news for rural communities however. According to the US Small Business Administration analysis of the Census Bureau’s Current Population Survey, rural residents were self-employed at a slightly higher rate than national average in 2016 (6.5%, compared to 6%). While many people think of farming and agriculture as the main industries in rural communities, they only make up 1/6 of the business owners in non-metro areas. Small businesses are the heart and soul of rural communities and are often the most important indicator of success or failure of those regions. The smallest rural areas actually have the highest rate of self-employed businesses, and those businesses are, on average, more resilient than their urban competitors. Some rural states, including some in the Rocky Mountain West and Maine, have the highest rates of business formation since the recession. Overall though, rural communities are lagging behind, often because of the capital gap that is ever widening. How do we help, and whose role is it to fill these capital gaps? There are federal policies and programs that attempt to address the issue of access to capital in rural communities, but it is not enough. For example, many agricultural and rural small businesses enjoy preferential access to loan capital at below-market interest rates from the U.S. Department of Agriculture, and more than 60% of the US Economic Development Administration goes to rural communities. Still, gaps exist, and small businesses have no place to turn. This is where the private sector can find an opportunity to fill the gaps in access to capital. Access to equity capital is a critical factor in entrepreneurship success. Patient capital helps develop and get products to market and is a major factor in the success of a small business or startup. So why have rural based entrepreneurs struggled to access venture capital if it is so important? 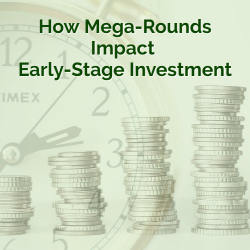 Because typical drivers of venture capital are profit maximization, the industry tends to look to regions that maximize potential investment opportunities and minimize cost. This is harder in rural environments, as infrastructure, talent and geography constraints make these transactions more difficult. New models of venture capital are necessary to be successful in more rural areas. One such example is the community development venture capital (CDVC) model. CDVC providers make equity investments in small businesses, however their investments are predicated on a company’s potential for high-quality job creation for low-and-moderate income residents on top of its likelihood for rapid growth. Because of the additional focus areas, CDVCs are willing to invest in companies in different industries, stages of development and locations. 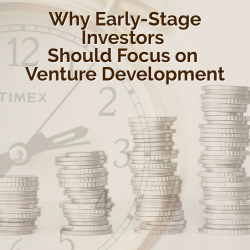 Utilizing existing programs like the New Markets Tax Credits and RBICs are other ways to spur investment from non-traditional rural focused venture capital funds. The truth is that there is not a shortage of investable opportunities in rural communities. The gap exists in educating investors and connecting them with those opportunities. Universities are increasingly playing a larger role in this area. At the Rural Opportunity Initiative (ROI) within Georgetown University, a partnership between Georgetown, Iowa State University, Mississippi State University and Purdue University has emerged to try and tackle this issue. ROI and the university partners are working to highlight these opportunities and to educate investors and lenders to help create new rural asset classes and drive capital into rural communities across the country. Several events across the country have been developed in partnership with the university partners to bring venture funds and other investors into the state to hear from and connect with entrepreneurs and small businesses that are investable. There is a lot of opportunity ahead, and rural communities will continue to be at the forefront of innovative ideas and opportunities, they may just look a little different than those in urban environments. 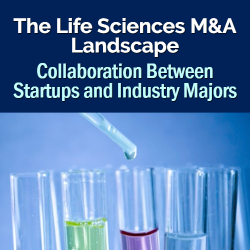 For venture capitalists, life sciences has been an attractive and fruitful sector for many years. With tax breaks for corporations and other factors that incentivize investment, such as a more accommodating regulatory environment, 2018 is expected to be a particularly active year. In fact there have been $11 billion in biotech M&A bids in the first few days alone, led by Celgene Corporation announcing its intention to acquire Impact Biomedicines and Novo Nordisk announcing its intention to acquire Belgium-based biopharma company Ablynx. Cerecor Inc., a biopharmaceutical company specializing in neurological drugs, recently acquired TRx Pharmaceuticals, in order to push into pediatric health care (TRx subsidiary Zylera specializes in established pediatric supplements already being prescribed by doctors). Last year, AzurRX, a company that specializes in therapies for gastrointestinal diseases, entered into a collaboration agreement to license established transition-state chemistry from TransChem, Inc. The company expects this deal to make AzurRX a significant player in the development of non-systemic therapies for gastrointestinal and infectious diseases. In another deal dating to 2016, Centrexion Therapeutics acquired three promising, non-habit-forming chronic-pain-treatment drug candidates from Boehringer Ingelheim, drawing from a narrow therapeutic category to strengthen its existing pipeline. This fast-paced environment creates significant opportunity for entrepreneurs, especially those at the intersection of technology and life sciences. Entrepreneurs would be wise to take advantage of the developmental resources and collaborative opportunities to build the value of their businesses. And, prospective buyers should conduct extensive due diligence to ensure that the technology they’re buying is a good fit with their business, appropriately valued and the most promising solution to a vital life sciences need. The biggest companies are willing to pay heavily, perhaps even overpay, for de-risked assets. We continue to see later-stage deals being made on new indications and therapeutics, on the generic side, and among those utilizing the 505(b)(2) FDA pathway (allowing some studies from non-applicant sources to be included in new drug applications) paying up for de-risked assets. At the same time, because of the need for the innovations pioneered by smaller companies, we are also seeing big dollars going into investment in development at the early stages. In fact, by some accounts, one third of recent Series A investments came from corporations. As larger companies seek to add some diversity into their portfolios, scouts and business development executives from larger firms are looking for very specific types of assets—forming new business lines and incubation networks to secure early access to them. Particularly in pharma, some of the biggest companies have now created their own incubation networks supporting entrepreneurs at the grassroots level through use of rent-free space, wet labs and facilities, and, in some cases, a little bit of funding to try to stay ahead of the game. 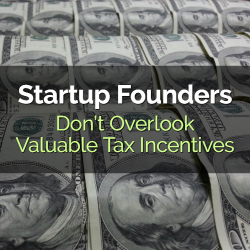 In most cases, this does not require the entrepreneur to cede a stake in the company. Often the deal is for the right of first negotiation or first refusal and a first access look at the technology. 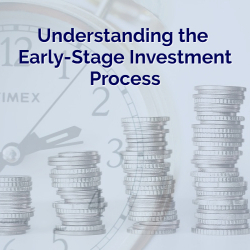 Entrepreneurs have many resources available to prepare for and cultivate investor interest. Many states and municipalities have entrepreneur support programs, such as New York City’s ELabNYC. This program provides coaching and mentorship as well as the opportunity to interact face-to-face with some of the world’s leading lawyers, venture capitalists, private philanthropists, medical clinics and nonprofit foundations. These connections allow young scientists to learn how to devise a regulatory plan, make financial projections and hone presentation skills. Trade associations, such as the Biotechnology Innovation Organization (BIO) and local BIO organizations, can also be helpful resources for peer support. Executives in the life sciences industry are a cohesive community, even among competitors, as they share the goal of achieving a greater good. Before any M&A transaction, one of private investors’ top priorities should be to ensure that they have a deep understanding not just of the target’s product, but also the science behind it. Buy-side due diligence should consider the regulatory landscape, market size and how a product can change the current standard of care. As they are having these conversations, they also need to have a solid understanding of how their intellectual property measures up in its competitive environment and what other companies are doing that is addressing similar issues. Obtaining a sense of the costs and pathway of the clinical trials and regulation is crucial. The FDA has grown more agreeable to having earlier conversations to help companies get on the right path. This makes it all the more important for investors to assess the size and scope of the clinical trial. Questions to ask include: What will it take to get to the provable stage? Will it require a separate current procedural terminology (CPT) code? What is a reasonable expectation for reimbursement rate/profit margin? When investors look for an opportunity to unite two similar companies, they should study the culture of both organizations to see if symmetry is possible and to identify redundancies. We often see that when corporate scouts engage with entrepreneurs they show great patience, asking to be walked through the process and offering feedback, even if it’s not a great fit for their area of focus. Being a positive, supportive member of the ecosystem is hugely important to the overall growth and success of these individual marketplaces, although they will strive to attain balanced feedback as emerging companies struggle to figure out who they are and what they are going to do. Investors and entrepreneurs in this space will find that life sciences is a cohesive community, with many avenues to gain significant value. We expect 2018 to continue to yield significant M&A transactions, collaboration agreements, and early stage investment and development.